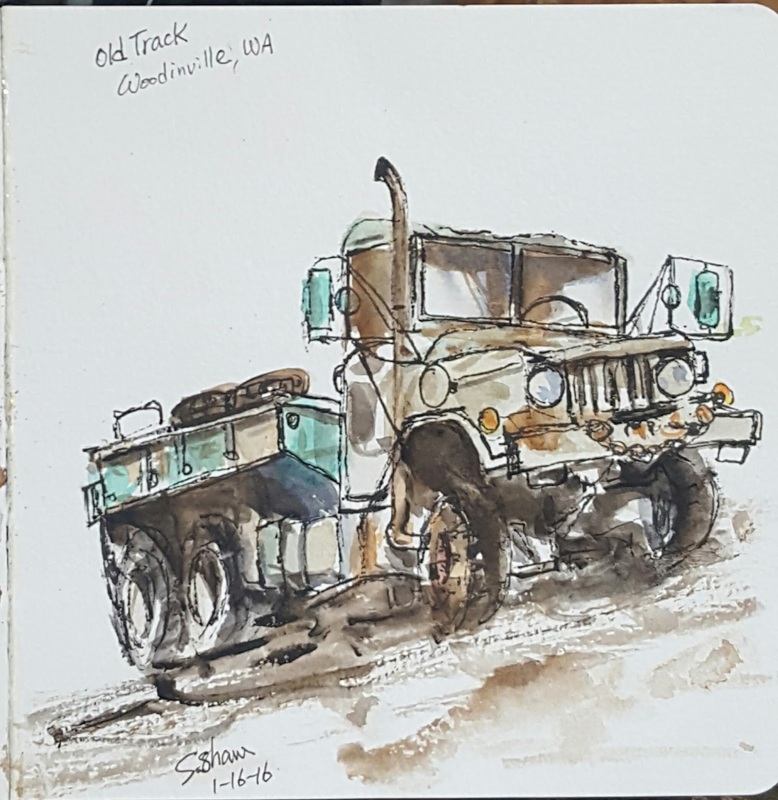 This old track parked at off road nearby where I lived, it never moved like statue stood there. Whenever drive-by, always caught my eyes. As land developing rapidly, I'm afraid it will vanishing soon. So, today is a perfect chance to sketch it as contribute to our weekly theme"Trucks"